A round up of new features in Defiance 2050 compared with Defiance Classic. Outfits, Titles and Vehicles that have been obtained in a unique or paid way on Defiance Classic will be available in Defiance 2050. Gone is the mass EGO Grid with the ability to unlock everything, now we have the concept of classes, which each has their own EGO Powers and Perks. 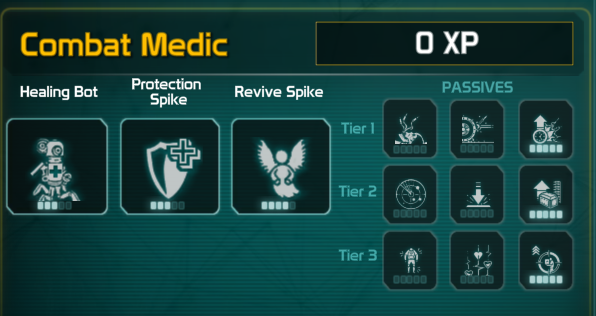 Not every EGO Power and Perk can be unlocked, you can only invest a certain amount of points in each tier of the Class Tree. Your first character can that you create can select a base class, additional classes can be purchased using in-game currency from the Commendation Quartermaster at The Crater or bought from the Defiance Store. Ark Hunter Commendations are earned from Contracts and Pursuits. You can select 3 EGO Powers to use for your class. Spikes and Stims have been removed as Loadout options, these are available as EGO Powers for certain classes. The following weapons have been removed from Defiance 2050. Instead of EGO Rating, you now raise your Character Level from 1-50. Alongside Character Levels are Class Levels, where each level grants an additional Class Point to spend on the Class Tree to unlock EGO Powers and Perks. You can raise your Class Level from 1-25. Previously known as EGO Rating on items, Power Rating determines how powerful an item is, from 1-5000. Your character's Power Rating is determined by an average of the most powerful weapons, shields and grenades you have ever had in your inventory. You are now able to see the Power Rating of enemies next to their health bar, zones further in the story will have higher Power Rating enemies. The only Legendary items in the game are Weapon Prototypes, these are unlocked when completing a Pursuit for a zone and offers a unique appearance and behaviour. Prototypes can be scrapped when you have outlevelled them and re-crafted at any time from a Prototype Replicator found at Fast Travel locations. The result of grafting a genetically modified hellbug venom gland to a detonator. Venom Spitter fires a sack of corrosive fluid which bursts on impact. Constructed from destroyed Scrappers. Atomizer builds an iconic charge on enemies it hits until it overloads, shocking nearby targets. Few remain of these dual-barrel .45 caliber semi-automatic pistols designed specifically for the EMC special forces and senior officers. They are highly desired for their superior stopping power. A modified AR-216 reserved for use by high ranking officers in the Earth Republic. Retribution is a semi-automatic assault rifle focused on targeting enemy weak points. Rosa's father, Amelio, engineered this weapon utilizing gulanite mining laser. Fires in three-shot bursts. The last round deals massive damage if the first 2 hit the target. Weapons can now be enhanced from their base Power Rating, the amount it can be increased is determined by the rarity of the weapon and 1 Weapon Level will increase the Power Rating by 10. Enhancement is done from the inventory UI, with the new Enhance Weapon button, it uses Weapon Salvage to increase the Weapons Experience Bar, filling this increases the Weapon Level. The amount of Weapon Experience granted is determined by the weapon salvage rarity, and is tripled when used on the same type of the weapon. Higher Power Rating on weapons will require more Weapon Experience. When breaking down an item the rarity of the Salvage is determined by the original Power Rating of the item and not the enhanced value. 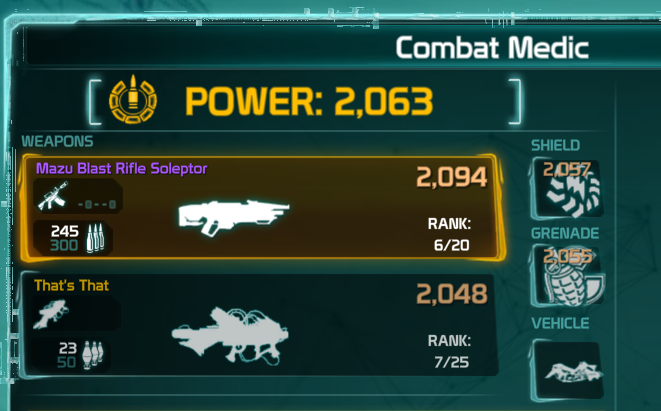 The rarity of salvage from crates is based on your Optimal Power Rating. Condition of Weapons is displayed as stars under the Power Rating and have an impact on damage. Ark Keys are no longer granted in large amounts, or spent in large amounts. 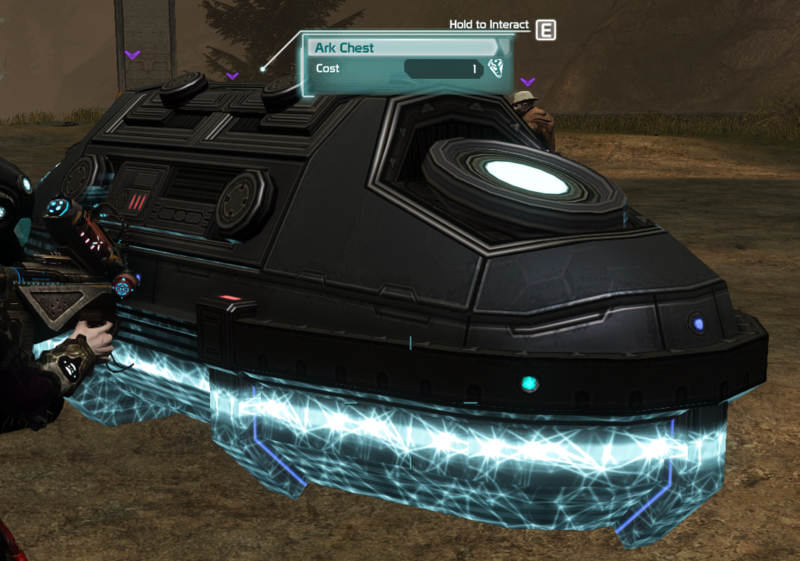 They are used at the end of Major Arkfalls and Co-op Maps where a large chest spawns to unlock a major reward. They are obtained from some missions/pursuits but reliably from new Daily and Weekly contracts from the Ark Hunter Bounties Faction, which are unlocked at Level 50. There are now 3 main health types, Health, Shields and Armor. Shields choose a combination of the three. There are a larger variety of grenades and they now use cooldowns instead of charges. There is no longer a vehicle vendor, and the vehicles are much more limited in the game. Some vehicles are transferred if you bought them from the store in Defiance Classic. There are no longer individual vendor lists, now all vendors offer all selection of weapons, shields and grenades that spawn based on your Power Rating. Each nano interacts differently with Health, Armor and Shields. Piercing: Armor Penetration - Piercing rounds drill through tough Armor to deal a portion of their damage directly to Health. "Drillers" deal less direct damage to Armor, Shield and Health. Quantum: Shield Penetration - Quantum rounds are capable of phasing a portion of their payload directly through Shields, dealing a portion of their damage directly to Health. The phasic matter within lacks the density of normal matter and deals less direct damage to Shields, Armor and Health. Syphon and Biological nanos have been removed. will there be a solestice strike for 2050 this year? i would like an answer as soon possible. i do really in enjoy the game but after reading all this and looking online at all the gamplay from the orignal this looks like its been striped to the bones and now a very basic game, No weapon varitie, No vendor varitie, and the basic skill tree ive seen more complex skill trees in mobile games, i just wish they would kept the same as the classic set up it would be a 7-10 for me if it was! "Previously known as EGO Rating on items, Power Rating determines how powerful an item is, from 1-5000. Your character's Power Rating is determined by an average of the most powerful weapons, shields and grenades you have ever had in your inventory." Etaew, can you confirm, with this post above, that we CAN scrap our higher PR items and it won't affect Loot Rating? Source?